The statistic present the leading video games worldwide ad of May 2016, ranked by production and marketing costs. 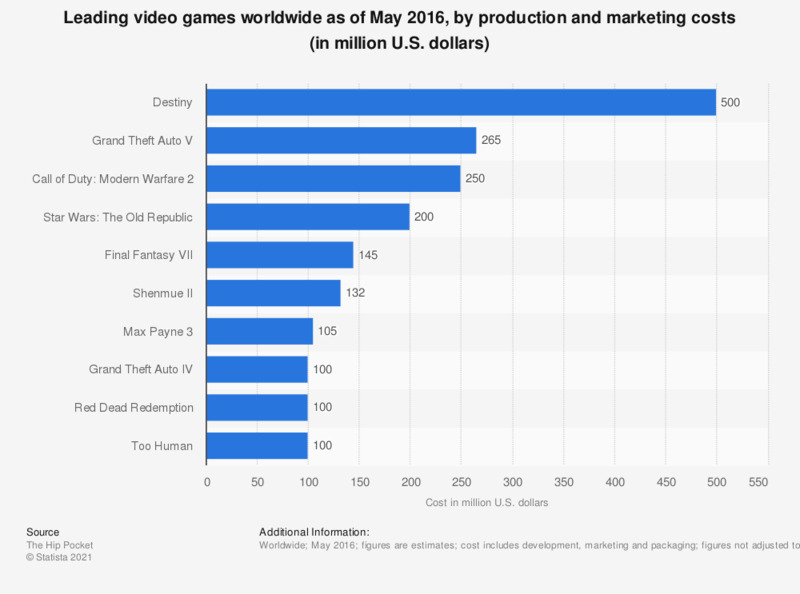 It is estimated that the most expensive video game so far is Destiny, released in fall 2014. Bungie and Activision are believed to have invested 500 million U.S. dollars in the development and marketing of this game.